The challenge for April/May was “Garden”, I knew almost instantly what I wanted to design..my dream garden that would incorporate a pond, zen garden, lawns and flower beds. 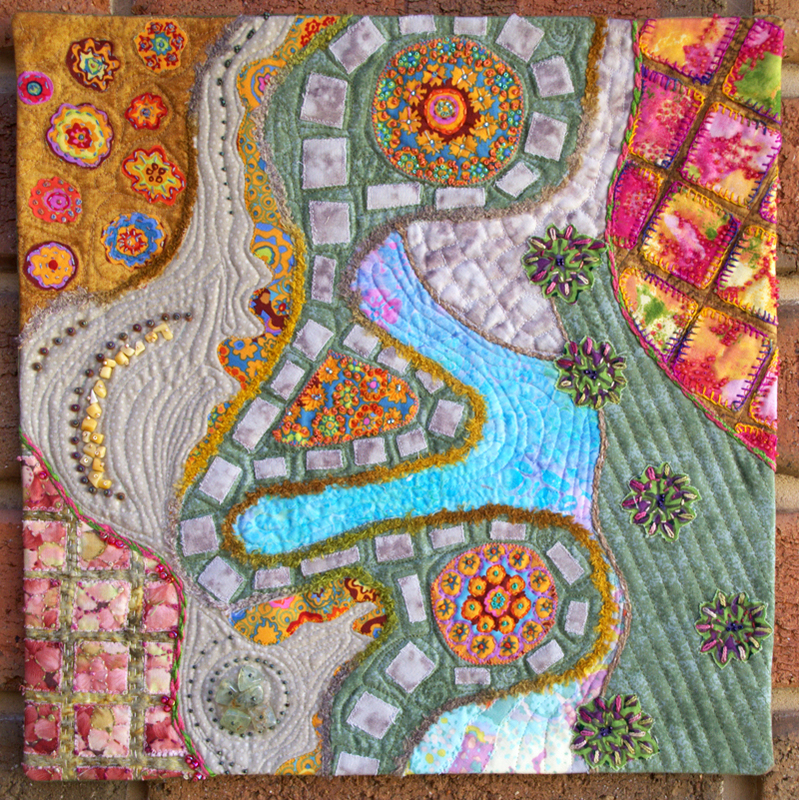 I used curved piecing to construct the basic design and this was influenced by Gloria Loughan’s book “Quilted Symphony”. The flower beds were fussy cut from floral materials and sewn down using raw edge applique. Different yarns were used to outline the pathways etc. The Zen Garden was embellished with gem stones and glass beads. 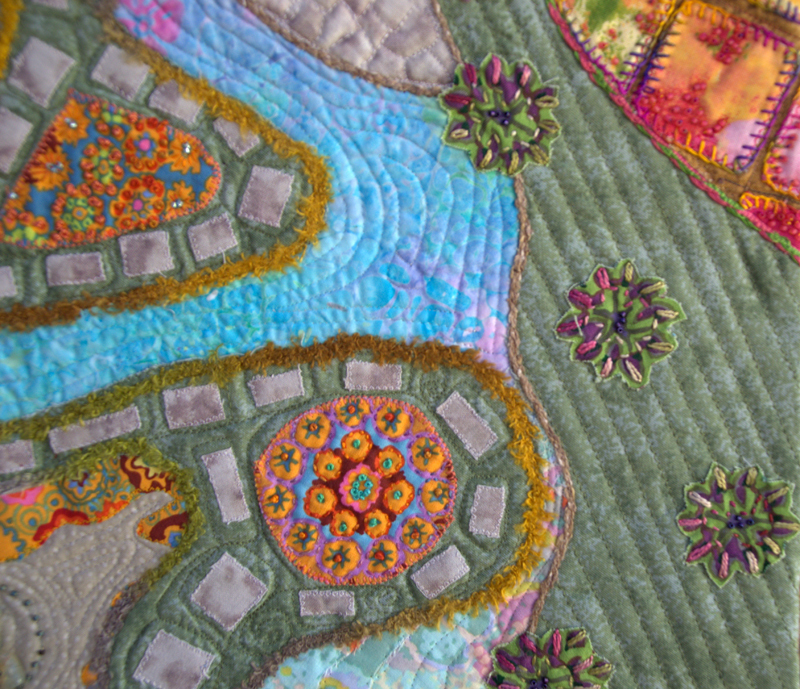 I also used hand embroidery and beads to embellish the different flower beds and trees. I faced the quilt rather than adding a binding. This is lovely Kaylene. 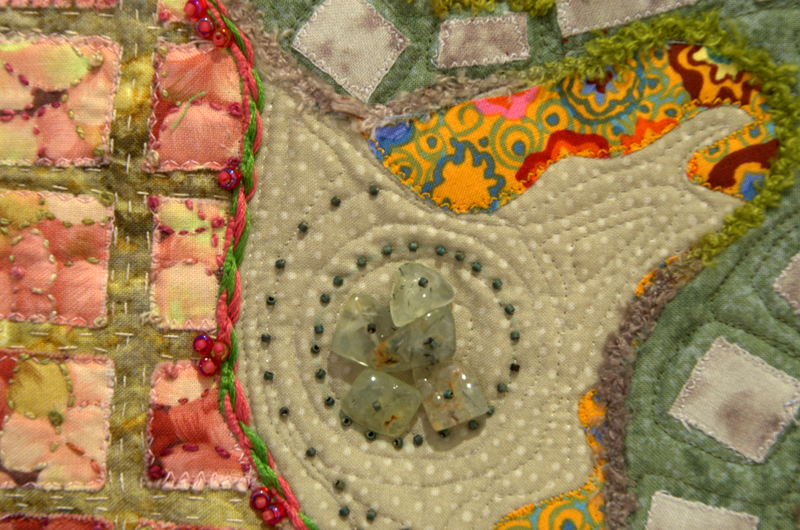 My first idea was a zen stone garden using quilting to indicate the lines in the sand and stone. I’m glad I changed my mind as your’s is much better. This is lovely and so original. Well done.